Spartan Vanguard is selectively recruiting active, dedicated pvp pilots. SPVG came to life two years ago in Providence, then merged in May of 2017 with Skara Admiralty and IONSTAR - one of the oldest corps in Eve - where I was director and acting CEO for almost a year. The CEO of Skara, Waicheun, is with us today as a second-in-command and industry lead. While invited to stay by Yulai Federation, we needed change and joined TEST in June 2017 with an Astra, 20 faction POS, 24b isk and never looked back. We've climbed quickly in corporation pvp standings on Zkillboard. As CEO, I'm proud of what we're consistently accomplishing in combat operations … day to day, week to week, month to month - as a team. We also have a very healthy industry arm that produces subcaps, caps, supers and titans. SPVG pulls twice its weight and we're consistently at the top of Zkill SPVG Corp Rankings corp standings, listed SPVG in Top 10 corporations many times for months week to week. SPVG is a multifaceted, multicultural corp with pilots from around the globe and a strong EUTZ and USTZ presence. United States, Netherlands, United Kingdom, Sweden, Finland, Ukraine, Russia, Germany, Serbia, Cuba, Portugal, Argentina, Japan, Canada, Australia, Philippines, Hungary, Sudan … and more. We have a mature player base, but prepare to be sociable, on comms and active. We don't accept or keep afk pilots in our ranks, so if you apply, have the time to invest and don't vanish. We don't carry dead weight and inflated corp numbers with pilots who haven't haven't logged in for months and months. We keep a vibrant corp and expect pilots to be active. SPVG also offers excellent corp and alliance SRP benefits and other rewards and incentives for exceptional pilots, including monthly isk bonuses. We have a strong leadership team of directors and sub-directors with years of Eve experience. SPVG has a strong industry base - including titan, super cap and capital ship production - and we provide near at-cost discounts to our pilots, including Rorquals, carriers, dreads, super caps and titans; we hold the BPOs. For our miners, we offer an aggressive ore buyback program. We own a super and cap production rigged Sotiyo, a T2 rigged Tatara and over 35 Fortizar's, Astra's and T2 Raitaru's in low-sec, Immensea, Catch, Tenerifis and our corp home in E1UU-3 in Esoteria adjacent to the D-PNP9 main regional Keepstar and alliance main staging. What do we require? Willingness to learn, excel in pvp and the ability to survive and play smart in nullsec. Bonus points for cap/fax alts. We do not do alarm clock ops, but do expect and encourage active alliance and corp fleet participation and the desire to blow up enemy spaceships. SPVG has a 35m SP requirement, and we ask that you also be able to fly interceptors and have some killboard depth. During the in-game interview, I'll get a pretty good idea whether you'll fit in corp, now 400+ strong. We have a definite corp culture and 50% of this is how well we think you'll mix with our crazy nerds. As CEO, my personal philosophy is this: take care of corpmates and they'll take care of their corp, where pilots put in extra effort to help each other and work together toward common goals. We have a tight-knit group and many seasoned pilots, but will take newer pilots with the right attitude and drive to excel. Face it, this game isn't always about skill points. It's about friendships and learning, too. In short, we have fun, because if a game isn't fun with friends and comrades, why play it? Oh,another requirement of SPVG … have a thick skin and good sense of humor. We meme a lot. There's always plenty of content here with TEST Alliance Please Ignore, and we're always at war somewhere, so there's lots of pew pew. 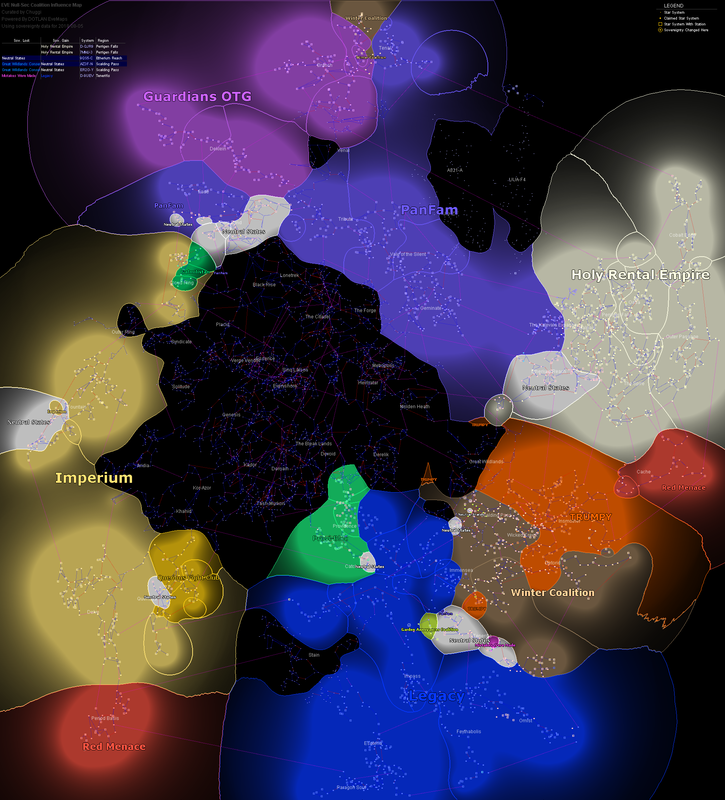 There's large-scale alliance fleets, blops and small-gang corp ops daily. We also have many solo pvp'ers and always seek more. We're part of the Legacy Coalition, with space from Catch to Impass, Immensea to Esoteria and Paragon Soul. Do you have what it takes to be a Spartan and part of our team of aggressive pvp pilots? We don't want pilots who feel like they have to pvp. We recruit pilots who want to pvp. If interested, please join in-game channel Spartan Vanguard for an interview or corp Discord. SPVG Discord Thank you for your consideration.